Chris Stapleton’s got the chops. Two Grammy’s, winner of the 2015 Country Music Association Awards for Best Male Vocalist, New Artist of the Year, and Album of the Year. 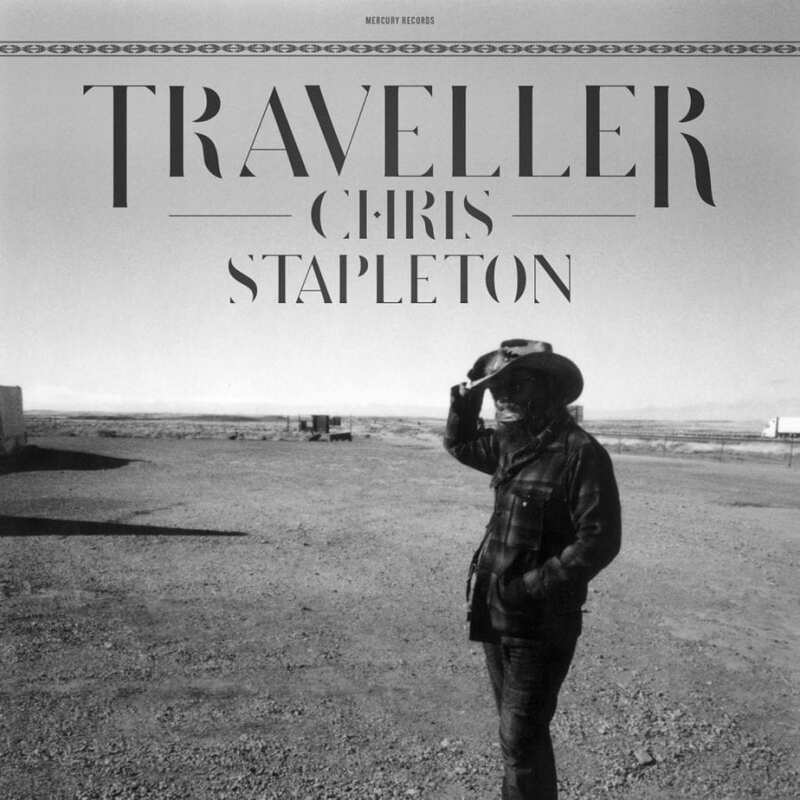 Expectations for a new listener going into his new album Traveller are understandably high. The album itself is an interesting mix of classic, high-energy country tones and more restrained ballads. ‘Fire Away’ is a slow-burner with unquestionable grit at an unhurried pace, like a slow, continuous tread along a beaten path. By comparison, the title track feels lacking in substance and didn’t grip me, with an airy upbeat tempo and an easy-going vocal. ‘Tennessee Whiskey’ is perhaps the most well-known track on Traveller thanks to the publicity-magnet move of recruiting Justin Timberlake for a team-up. It’s a smooth performance with seemingly effortless vocals. The image of alcohol, particularly whiskey, flows through the album. With ‘Might As Well Get Stoned’, we have the brilliant lyric ‘since the whiskey’s gone, I might as well get stoned,’ taking a lighter approach to alcoholism, while ‘Whiskey and You’, another standout, is more intimate and vulnerable, pulling in close on Chris’ vocal performance. ‘Parachute’ has a cinematic Western sensibility with more up-tempo grit; strong beats, great motifs from the accompanying guitar, and a good chorus line. ‘Nobody to Blame’ is similarly everything you want from a country tune, building up the layers to a chorus with harmonising male and female vocals, along with some poignant instrumental moments. Chris himself commented, “I’m a fan of polarisation. If you make something that is palatable to everybody, it’s like making vanilla ice cream, and I think we have enough of that”, and this idea of polarising, contrasting tracks is exactly what came to mind when listening to ‘Was It 26’ and ‘The Devil Named Music’. The latter hosts perhaps the best lyrics on Traveller, with a more sombre, melancholic tune. Lines such as, ‘I sold my soul a long time ago, I put it in six strings and a sad melody,’ stand as such a contrast to some of the earlier tracks that, once again, it’s odd to think that they all belong to the same artist. Then we have ‘Was It 26’ and its controlled vocal tones, slick and delivered directly, like a challenge.